ABC 7’s Hungry Hound visits Sabai-dee Reviewed by Edgeville Buzz on May 26, 2009 . 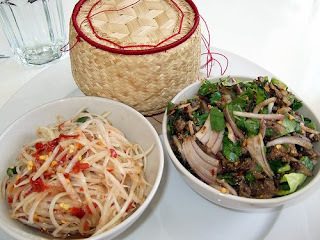 ABC 7’s Hungry Hound Steve Dolinsky recently visited and reviewed Edgewater’s own Sabai-dee located at 5359 N Broadway. As Chicago’s only Laotian restaurant, Sabai-dee offers a unique flavor of cuisine which is described as being similar to Thai food, but with is a little less sweet and more salty. Check out the video and write-up here.